Currently available at the One Fat Frog Restaurant Equipment Super Mage Warehouse in Orlando is a gorgeous, versatile, used Alto-Shaam CombiTherm oven. One of the great features of the Alto-Shaam CombTherm oven is the easy-to-use controls. Here’s some information on the wicked simple controls featured on Alto-Shaam CombiTherm ovens. Alto-Shaam CombiTherm oven controls utilize nonverbal images on the graphic, intuitive touchscreen. Modes on an Alto-Shaam CombiTherm oven include steam, convection, combination steam/convection, retherm, Golden Brown (six precise browning levels), and the only smoking mode on the market (applewood, hickory, even coffee or herb infusions are possible). 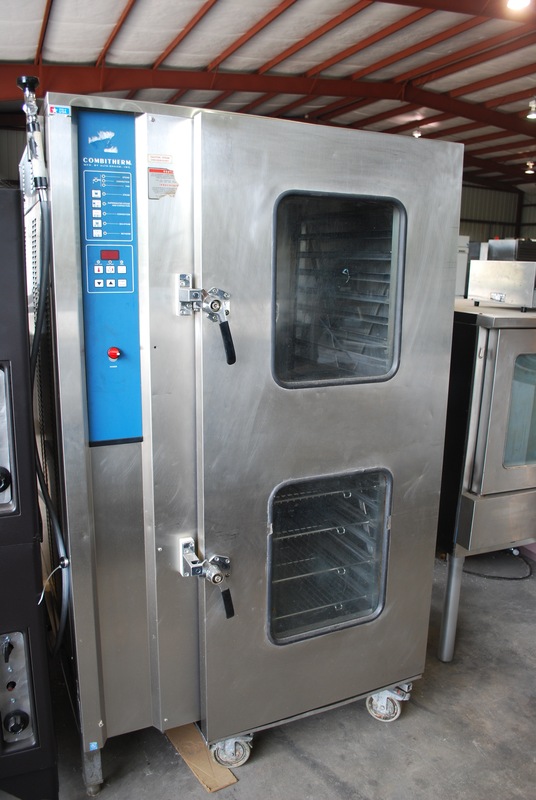 If you’re in the market for an oven that can handle high volume times in your restaurant while helping you save time, consider this used Alto-Shaam CombiTherm oven. One Fat Frog Restaurant Equipment offers easy financing no matter what shape your credit is in! Come by and check out this awesome Alto-Shaam CombiTherm oven today!